Dr. Jose Santos, PTS graduate and Latin America International Coordinator for the Global Institute for Ministry and Training, began his South American educational tour this summer by taking part in the Launching Service of the University of Leadership and Ministry (UNILIMI) at the Restauracion Church of God in Kissimmee, Florida. Dr. Santos serves UNILIMI as a part time faculty member. Dr. Santos then proceeded to Santiago, Chile where he participated in a joint educational effort of the Pentecostal Theological Seminary, the Center for Latino Studies and the Chilean Church of God of Prophecy. Thirty-nine pastors and leaders attending the training. 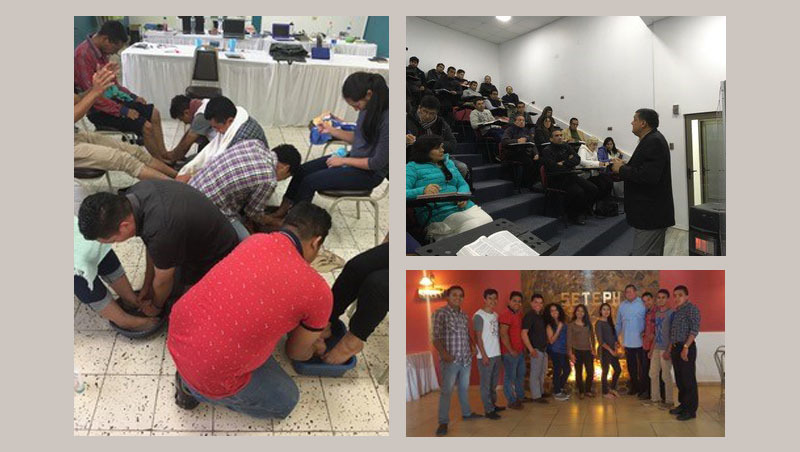 The last stop for this training tour was at the Churches of God in Villanueva and Siguatepeque, Honduras, where Dr. Santos was privileged to teach Pentecostal Liturgy and Ministry and Church Planting to numerous students. Dr. Santos ask that we remember Latin America in prayer.